What is it with Colombia? So, as volunteers with the ‘program’, we are getting close to the time to leave the country. 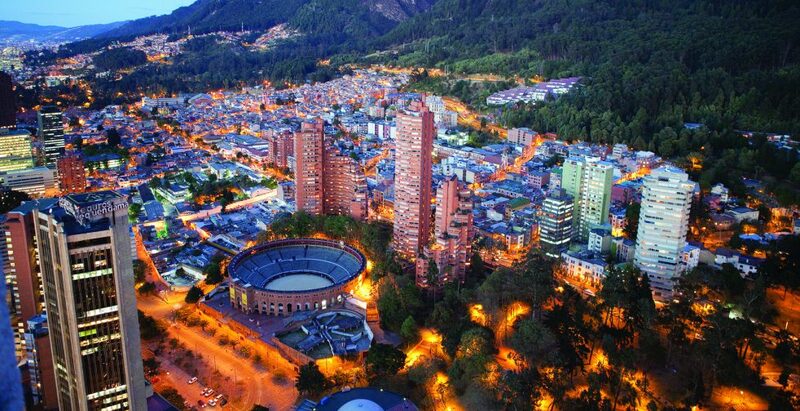 We all signed up with either Greenheart travel or Heart for Change to work here in Colombia for 10, 9 or 6 months. We have our visas until the end of November and then we need to leave the country and come back to work with another organization or re-apply to our current organization or we move back to our home country. The time of decision about our future is upon us! This is a very difficult decision for most of us. We are all so happy here. This country has accepted us with open arms and hearts. It has welcomed us and allowed us to work and live here safely and with encouragement. There is a certain persona that travels to another country where they know no-one and begin a new life where everything is unfamiliar and I have found people like me – I have become close to people faster than I do normally. I feel like I fit in and I love this country – I am scared about returning to the US. I don’t want to live in the US. But…. I have a husband in the US. My daughter and part-time kids are in the US. My nieces are in the US. My heart is here – my cat is here – my family is there. I was in Cali for the weekend with some other fellows I’ve met during my time here and they are all feeling similarly. They don’t know what to do and where to go. There are always a lot of people who re-apply to the program and there are some who move to other countries to teach English and there are a LOT who go back to their country of origin. But there are so very many who want to stay in Colombia and are loath to return to their country of origin, so that leads to my question…. 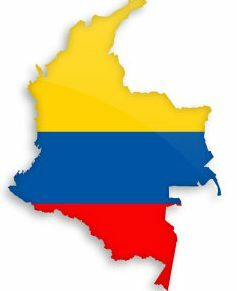 What is it about Colombia? I LOVE this country. I really really do! But, why? The food is bland unless you get ‘salsa de aji’ to put on it. The people are rather rude in that they shove past you on the street and to get in line for anything. It is rainy a lot of the time. The sun sets at the same time all year long and that is really early! The roads are bad and the electricity goes out at times. There is a lot of petty crime. There is no hot water anywhere in my house but the shower. The mail system is a joke and the the light switches are placed in weird locations or hidden in the most inconvenient places. But…. I don’t want to leave. When I set foot out of my apartment in the morning to head to the bus to go to work, I look up at the mountains and feel alive! I love my job, I love the people, I love the city! I feel alive for the first time in a long time. I feel that life is somehow more alive and real here in a way that it isn’t in the US. I don’t want to leave. I think that a lot of us feel let down by our home countries and this new country is in a spurt of growth that is accepting and open to change and people. A lot of us are from countries that have made life at home difficult, like the US, England, Australia whose governments are turning scarily inward and repressive, and Venezuela whose governments is not open to any kind of opposition. In Colombia we have found a welcome respite from the difficult truths that lie at home and that is comforting to us. Colombia, you have welcomed us at a time when we really needed it and I will always be grateful to you for that. You have allowed me to travel around your country enjoying all you have to offer and my heart is full. I am truly alive and eternally grateful to you. Thank you from the bottom of my heart. I hope I gave even a little of what you have given me back to you through my time here. Every year between July and November, humpback whales swim over 2000 miles from Antarctica to the warm waters of the Colombian Pacific coast to mate and give birth to their young. It is an amazing sight to see and tourists travel to the coast to try to get a glimpse of the whales in the ocean. Obviously, I became one of these tourists! There are several places to go to on the coast, but we chose to go to Ladrilleros and Juanchaco by ferry from Buenaventura as we were short on time and visit the national park of Bahia Malaga to see the whales from there. I took a bus to the Terminal de Transporte (6,500cop) where we caught a bus to Buenaventura (25,000)cop. The port city of Buenaventura was not pretty, as anyone will tell you, but the port itself was interesting. We went to the pier and bought a ticket to the city of Juanchaco on ferry (30,000cop). The ferry ride was very choppy and uncomfortable. We were low in the water and closed in while trying to hold our backpacks up so they wouldn’t get wet. They did have us all wear lifejackets which was a nice sign, but it added to the claustrophobia on my part. Many people zipped up their plastic ‘windows’ which added to the effect. The scenery we were passing was beautiful though that I ended up enjoying the ride in spite of the claustrophobia! We got to the ‘port’ of Juanchaco and it was raining. The rain was warm though as this area of Colombia is very hot. There were children playing in the ocean and the effect was pleasing and quaint – I immediately loved it and was thrilled to be here. We disembarked from the ferry and walked down the pier to look for transport to Ladrilleros. We had not booked a room at a hostel, but Ekatarina knew of someone who had a hostel. It was raining and we were being hounded by guides, so we decided to go to Ladrilleros where there was a hostel that was available. We had not seen or heard of it though – so it was chancy but at least we could get out of the rain! Because of the rain in the area, the taxi is actually a tractor that pulls a trailer with benches. It was interesting, but only 3,000 cop and it got us there! In we climbed! We walked down a muddy path to the hostel. It was on a cliff overlooking the ocean! The view was gorgeous! The room was not. It was small, the beds were lumpy and thin, the pillows were flat, there was a small window and a fan and the bathroom was tiny and sparse. But… we were going to see whales and the view! The guide, Jimmy, told us where to eat in the ‘town’. We left our backpacks in the room and went to find dinner. He was right – it was cheap and cheerful! Just what we needed. We had dinner and then found this little bar on the cliff down from our hostel where we had a couple of drinks and danced for a while. It was nice to hang out and relax listening to the ocean. He signed us up for a boat to see the whales at 8 the next morning. We were a little worried as it was still raining. It stormed all night long. It was nice to sleep while the storm raged outside, but we were concerned when we woke and it was still raining at 6:30 in the morning. We dressed, ate breakfast at the hostel, and then the sun came out about 7:45 – we ran and changed and went to go see the whales!! I was impressed that they had us attend a talk before we got in the boats. We learned that the whales are very closely monitored and the boats have to stay a certain distance away – even farther if they see a calf, only 3 boats can follow each whale, if there are three boats there, you have to find another whale! All very good rules!. We then got in the boats and took off to look for whales! As we were leaving the pier, we spotted a dead whale. It was so sad – the people were standing around talking about how tragic it was and how it never happens. They were speculating about why it died. We later found out – as it was in the paper later in the week. We left the pier in search of whales – the ride was two hours long and it zoomed by. We were all looking and straining to see something. It was an amazing ride. We saw some whales finally and it was so exciting to see them. I felt supremely lucky! I saw whales!!! My life is now compete! Immersion Camp – The fun! My favorite part of the camp was the time we all spent growing together as a group. We grew as a group of fellows by all living in the same house together for the duration of our time. I am an introvert as were most of us! We would all scatter when we needed our ‘alone’ time. I am so impressed that we grew as a group and really enjoyed each other’s company. There was only dissension at the end and then only with one fellow! Every day started with a warm-up after breakfast. Breakfast was the only thing during the day that was optional. Most of us started out coming to breakfast and then deciding that we could definitely use the extra 1/2 hour to sleep instead! The warm-ups were a lot of fun. They consisted of activities and songs that the teachers could use later in their classes of elementary students. They included a lot of repetition and ‘repeat after me’. We all got to share the songs we grew up on in our countries! The teachers loved this time and we had to create a file to write down the words to the songs. One of the most fun days we had was called the Super Human Challenge day. On this day the teachers had to complete tasks in groups working together physically and speaking only English! It was so much fun and they all loved it! We also had a multi-cultural night where we as fellows shared about our culture. We came from England, the US, India, Ghana, Zimbabwe, Cameroon, Venezuela, Canada and Australia. The teachers came from all the regions of Colombia. It was a fun night, of food, presentations, displays, dancing and singing! The end of the camp was celebrated with a graduation and all the participants received a certificate of completion. We were all exhausted, but happy. It was quite an achievement and we created WhatsApp and Facebook groups to continue our relationships!